“I arrived at [Westgate Physical Therapy] looking for help for a very painful and debilitating ailment. I felt awful. More than that, I was depressed and with a very cranky attitude that ‘this was my lack chance for getting well.’ Well, John [my therapist] and staff provided comfort, skill, humor and charm to my problem and I was soon back in shape, no pain and ready to go. After that I joined their fitness program and have enjoyed a delightful time maintaining my health and keeping a good attitude towards life. I really like this place” – Lowell L.
"Exercise equipment excellent. I had physical therapy 3 years ago. Very patient therapist, very understanding [and] took the time I needed. The [facility] is very clean. Staff is caring, thoughtful, helpful. [They] are always willing to stop and listen and meet the needs of members as well as patients. Environment is excellent. Always greeted with a smile. One can tell the place is run very well by the owner, as the staff is friendly and everyone works well together. Membership is excellent and the patients and members mingle well together as everyone seems to be able to relate with each other’s physical problems. I would recommend this place highly and have already had some friends and relatives who have come here because of my recommendation." - Serona S.
"Never thought I could enjoy exercise everyday - love it! Therapy for knee surgery at Westgate PT was wonderful, great staff. Very caring people." – Lynn R.
"The people are so helpful and enjoyable. The hard work is worth it." - Marian B. "Several years ago I had a hip replacement, and decided this place was the closest to get the help I needed, plus it had a small exercise pool. I found skilled and knowledgeable people who had also found that humor is a part of any great treatment. A year later I had the other hip done, and at some point two back surgeries (a month apart). By now, it was like extended family and I discovered I could also come here for exercise, at a very reasonable rate! My husband and I started attending the Silver Sneakers program at the YMCA through our health insurance, but I refuse to give up my visits to Westgate... so I tried to alternate my daily visits. One definite advantage is that all the PT staff are skilled to be helpful and suggestive when anyone has a physical problem, while not overstepping their professional status. Above all, they get to know all their patients, and this includes the staff. They know how to have fun while carrying on a very professional demeanor and the respect goes both ways between the staff and patients. Coming here to exercise or have physical therapy will bring you in touch with all ages, and there is a common caring amongst the regulars that seems to buoy everyone's spirits, regardless of their pain and health problems. I highly recommend Westgate Physical Therapy and Exercise to anyone... a place with a highly professional staff who are serious about their work, and exude a warmth of caring that makes it virtually impossible to leave without a smile on your face. 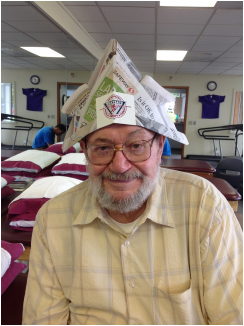 -Chellis S.
“My time as a physical therapy patient and an exercise member has been a great investment. The therapists are skilled and use gentle humor to make the rigors of exercise less painful. The staff is very supportive. Because exercise members are introduced to each other, they also support each other. It is a very friendly exercise spot.” – Marji S.
“We have gained from our therapists… the friendly atmosphere of all the staff…wide range of exercise opportunities.” -Richard K.
“I’m really enjoying the exercise which is designed to get me well. I had a bad fall and this is my next step for recovery. John is working me hard, but that is what I need to regain my stamina” -Sandy K.
Have a testimonial of your own?